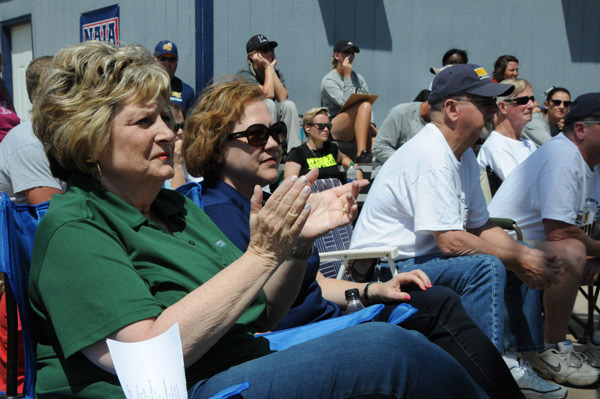 It might have been a competition on the softball field beneath the spring sun May 17, but the presidents of Reinhardt University and Huntington University used the time to support their student-athletes and catch up. Dr. Sherilyn Emberton, president of Huntington University in Indiana, traveled to Waleska as her Lady Foresters softball team competed against Dr. Kina Mallard’s Lady Eagles during the NAIA Championship held in Waleska. The Lady Eagles fell to Huntington University May 17. 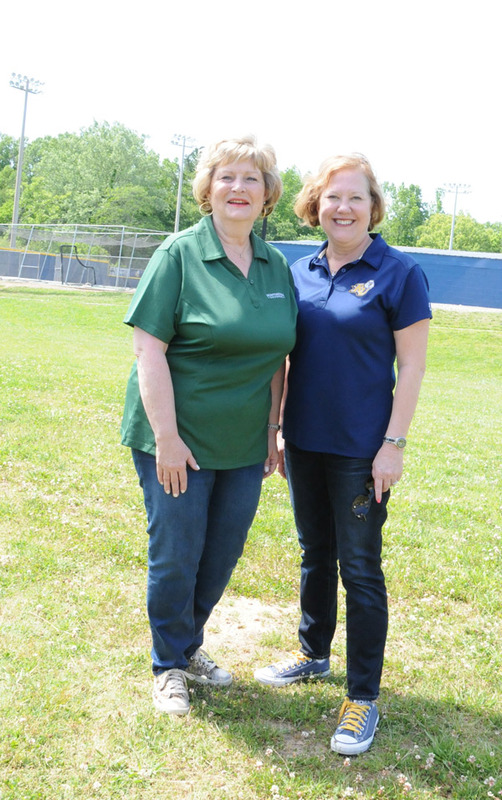 Dr. Kina Mallard, president of Reinhardt, and Dr. Sherilyn Emberton, president of Huntington, have been friends for 10 years – they met when they were in similar roles at other Christian colleges. Dr. Mallard was provost of Carson-Newman University, and Dr. Emberton was provost of Lincoln Memorial University, which only are about an hour apart in Tennessee. “When I was new, Sherilyn invited me to a monthly lunch meeting of provosts,” Dr. Mallard said, adding the provosts were all women. The two formed a bond – they had much in common, more so with each other than the others with whom they met with each month. “We had similar senses of humor and similar roles,” Dr. Mallard said. Dr. Sherilyn Emberton, president of Huntington University in Indiana, and RU’s President, Dr. Kina S. Mallard, have been friends for 10 years and each always is there for the other when support is needed. Dr. Emberton was inaugurated as Huntington University’s president in 2013, so she has become a great source of encouragement and advice for Dr. Mallard. “Sherilyn became president first. We were both kind of on the same track and she got her presidency first in Indiana. After she saw how rewarding it was, she encouraged me to go for it, so I did. And here we are,” Dr. Mallard said. While their roles have shifted since their friendship began to blossom 10 years ago, one thing has remained constant – they both encourage each other and offer a knowledgeable ear when the other needs advice. While Monday’s tournament game did not end well for the Lady Eagles, as they lost 2-1 after a walk-off homerun by Huntington’s Emily O’Leary, the presidents’ friendship will remain strong, and their long-lasting support will always be there.